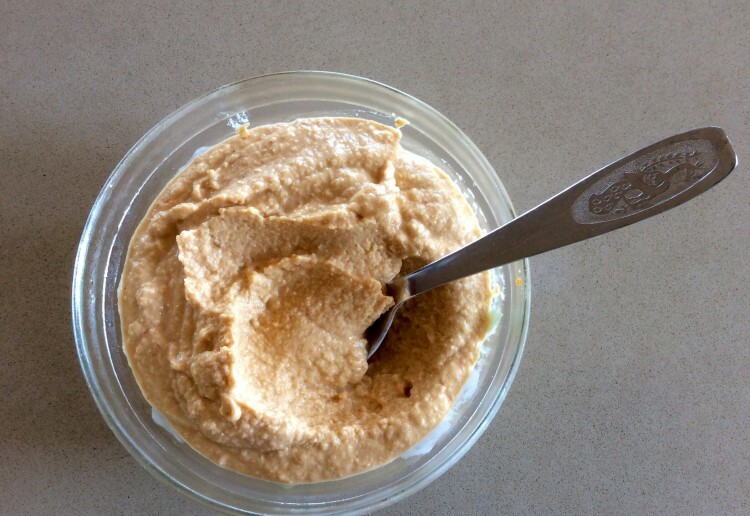 This is a nut free hummus recipe that my children take to their school. It can be used as a spread inside bread or tortillas, as a dip with vegetable or bread sticks. It also makes a great salad dressing. Drain the liquid from the Canellini beans and set aside. Add the beans, salt, lemon juice and extra virgin olive oil to a blender. Blend the beans until smooth. Use the reserved liquid to adjust consistency, if required (this seems to differ from one brand to another). Add salt to taste and stir in the paprika. Store in the refrigerator. great idea to use canellini beans. this sounds so yum and simple! I am going to try this! oh yum, so simple too. And if I put a can of beans in the pantry it’ll be a great ‘go-to’ emergency dip for when friends pop in unexpectedly. agreed, a great back up for when friends pop in!! hooray a nut free alternative, have emailed the recipe to work to print out! Not sure my kids will eat it but I am keen to give it a go with them! A recipe to keep for family etc dropping over,love hummus,thanks!